Ivalo Airport (IATA: IVL, ICAO: EFIV; Finnish: Ivalon lentoasema, Northern Sami: Avvila girdingieddi) is an airport in Ivalo, Inari, Finland. 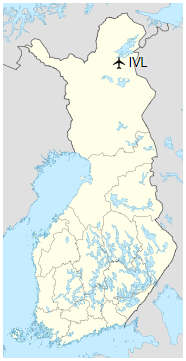 It is located 11 kilometres (7 mi) southwest from Ivalo, the municipal centre of Inari, and 25 kilometres (16 mi) north of Saariselkä. It is the northernmost airport in Finland and in the European Union. 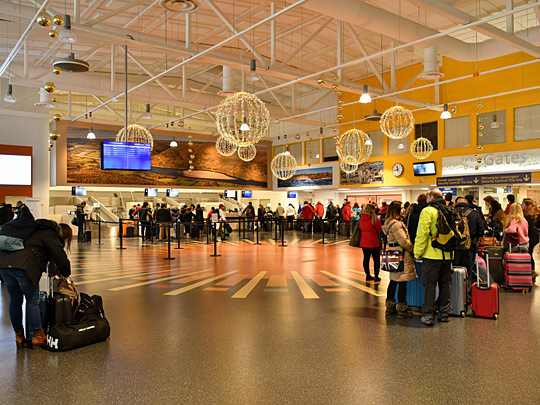 Check-in hall at Ivalo Airport.